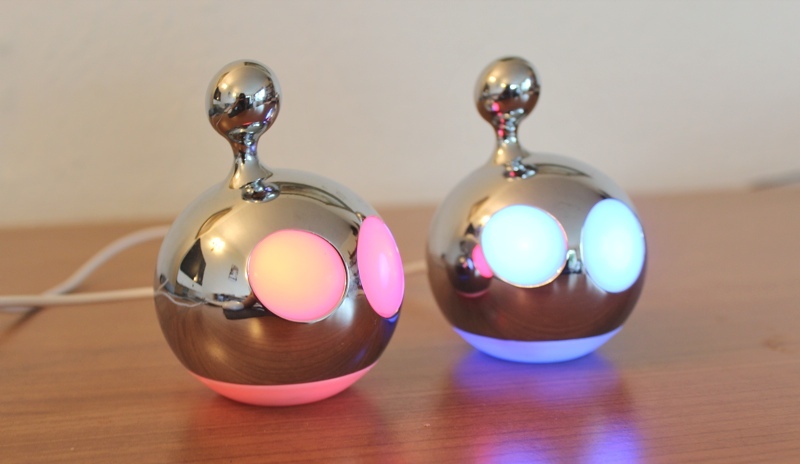 If you're on the lookout to liven up your dull office desk or want to add a little quirk to your home environment, these Mathmos Blob and Flow lights may be of interest. Blob and Flow are not sold together, each is sold individually for £38 within the UK and $57 within the USA. Blob's the blue light and Flow is the red light. 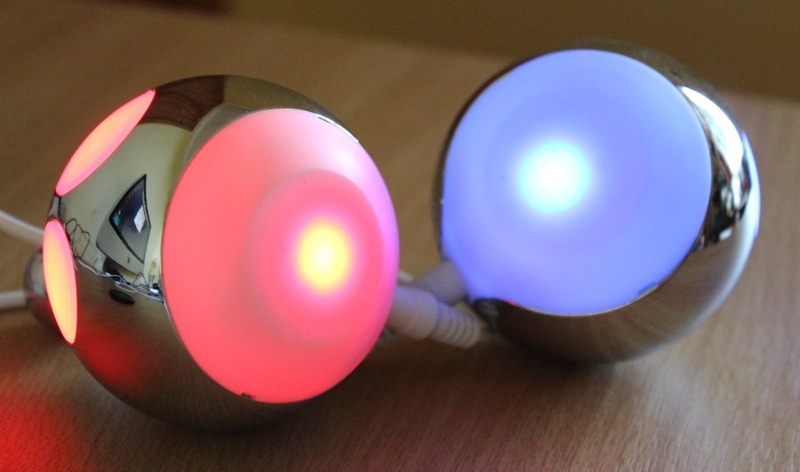 Unlike most Mathmos lights, these can be powered via USB 2.0 which is why they're well suited to use on an office desk from the power of a computer, with a slight downside as you have to sacrifice two USB 2.0 ports. But they can also be used via a wall outlet and all cables are supplied for both inputs. These obedient pets are cast from zinc alloy metal, providing a robust casing and a highly polished metallic surface. Each light has one eye smaller than the other which, combined with the antennas on each head, really emits a friendly fun alien-like character from the lights. Supposedly the Mathmos Blob and Flow were born when a special lava mix went horribly wrong. They look happy and have definitely brightened up our desks. But they have also proven to be brilliant paperweights in our studio. Usually when we describe a product as being a good paperweight we mean this sarcastically but this time we mean it genuinely. The lights are lit from inbuilt LEDs which are visible via the 'eyes' in the lights and around the base, and these LEDs are non replaceable. However, don't let this be a concern, we've had the Mathmos Blob and Flow lights at our studio for three years and they've been on from 9 o'clock to 5-6 o'clock every work day and some weekends for this period. They're still working perfectly! The LEDs are extremely bright, even in broad daylight, and the tone of the light suits the body shapes highly. The unique ability Blob and Flow include is that they can be interacted with by touching them anywhere on their metal body. This will make them either wink or go through a short moment of madness with blinking of eyes and all round craziness. Touch them twice and they'll induce a different reaction. If you touch them for about 8 seconds they will go into their sleep routine where they turn off, and when they're turned on they subtly wake up. When they are powered on they conveniently start up immediately. Blob and Flow are great fun! Their quirky animated characteristics and high quality build do encompass a brilliant pair of lights from Mathmos. The only downside is the high price if both are desired, and the truth is that one on its own really does seem kind of lonely.